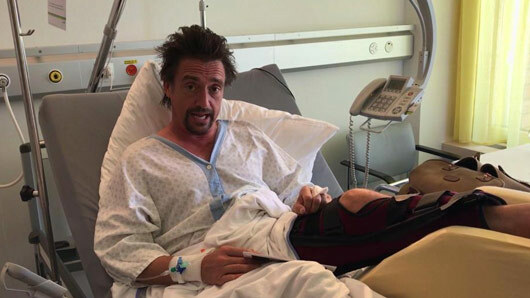 The Grand Tour star Richard Hammond has shared a photo of his “Swiss Army knee” following his serious car crash in Switzerland last weekend. Hammond was airlifted to hospital on Saturday (June 10) after losing control of a Rimac Concept One electric car. The star had been taking part in the famous Hemberg time trial while filming for the Amazon series in Switzerland, with his co-stars Jeremy Clarkson and James May. Thankfully, Hammond did not receive any life-threatening injuries from the accident. However, severe damage to his knee has required several procedures over the last few days. 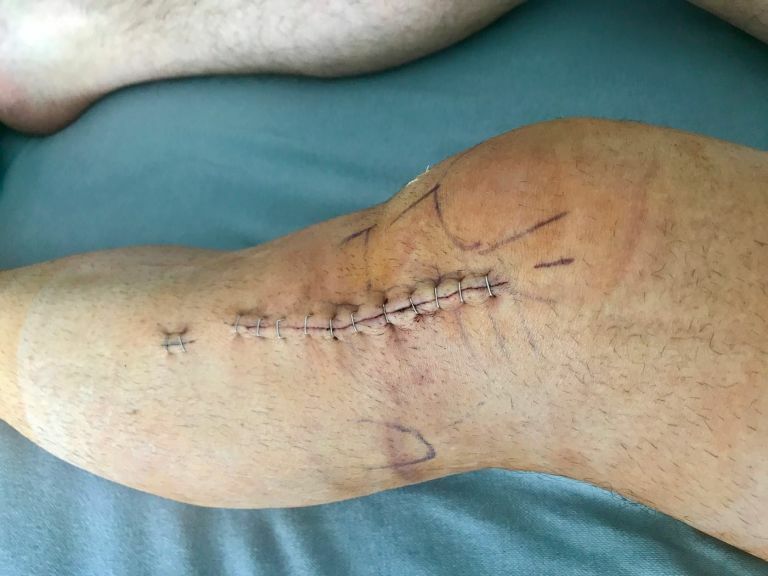 Hammond shared an image of the damage on the DriveTribe social media sight and wrote: “I’m pleased to announce that after two sleepless nights and several hours’ surgery, my Swiss Army Knee is finished and works. “It bends in the middle and whilst a problem at airport security, is at least rustproof. Co-host Jeremy recently detailed his own account of the terrifying accident. “I could see the screen. I could see the paramedics behind it. I couldn’t see Hammond. I didn’t want to see him. Not after a crash that big. “At a guess, I’d say he was doing 120 mph when he left the road and that he’d have been going even faster than that when he’d smashed into the road below. He wasn’t going to be a pretty sight, that’s for sure.